After you watch this video, please offer a minute of your time to complete a brief survey. It is extremely valuable to the work we do! Do you practice responsible and appropriate use of medicine? Each day in the U.S., nearly 7000 people abuse or misuse a prescription drug for the first time, while approximately 2,500 of them are youth between the ages of 12 and 17. Prescription medication abuse continues to rise and devastate families and communities throughout our country. In fact, while the United States makes up a mere 4.6% of the worlds population, it consumes 80% of its opioids (pain medication) and 99% of the worlds hydrocodone (the opiate in Vicodin). 63% of 7th-10th graders agreed that: "My family has prescription drugs in the house, and I could get to them if I wanted." Prescription medications are so commonly used that some mistakenly believe they are harmless. These medications are often easily accessible in the home. 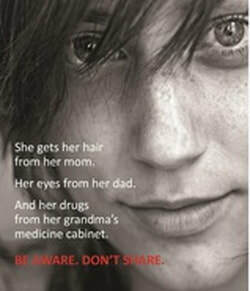 Learn more about the risks of prescription drug misuse and how you can prevent someone you love from being harmed. Safe disposal of your expired and unwanted prescription medications is an important component of preventing prescription drug misuse. Dispose of excess medications in an Rx Drug Drop Box near you and keep your current medications locked in a secure location as you would cash or valuables in your home. 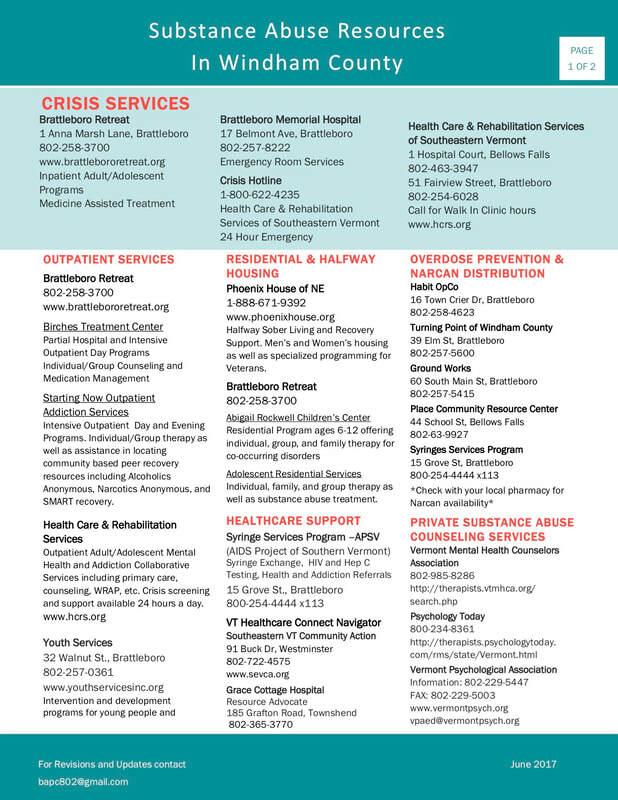 The Prescription (Rx) drug drop boxes have been provided by the Brattleboro Area Prevention Coalition [BAPC] and the Greater Falls Connections, Deerfield Valley Community Partnership, The Collaborative and West River Valley Thrives as a prevention strategy to address concerns of prescription drug misuse in Windham County, Vermont. The boxes were purchased from The National Association of Drug Diversion Program [NADDI] using federal grant funding through the Drug-Free Communities Support Program.